Caitlyn is one of our Dental Hygienists. 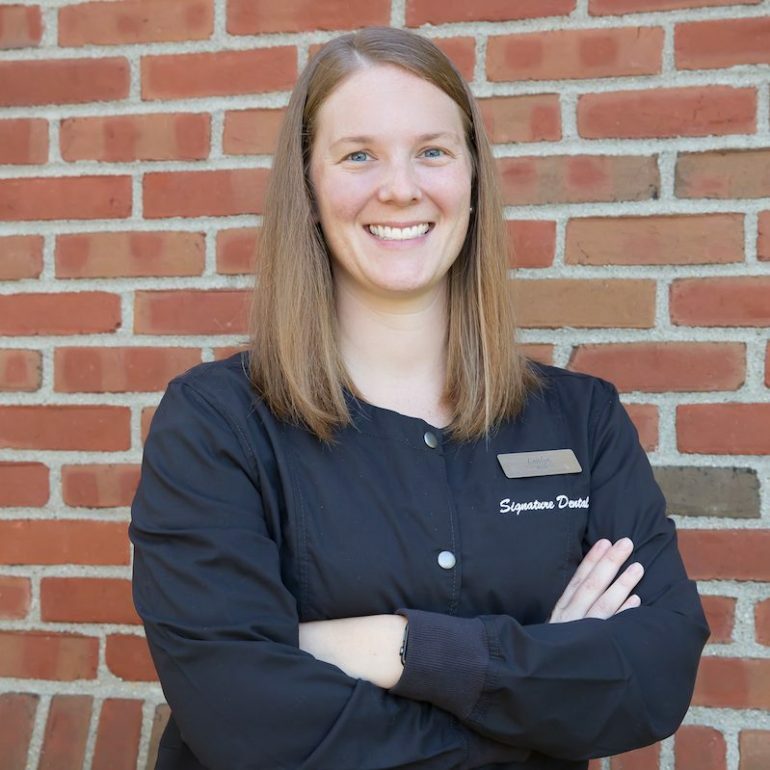 She has recently been a great addition to the Signature Dental team. She looks forward to meeting all of the great patients and working with them to achieve great dental health. Caitlyn graduated with a Bachelor of Science in Dental Hygiene from The Ohio State University in 2013. In her spare time, Caitlyn enjoys spending time with her husband and dog, traveling and working out.